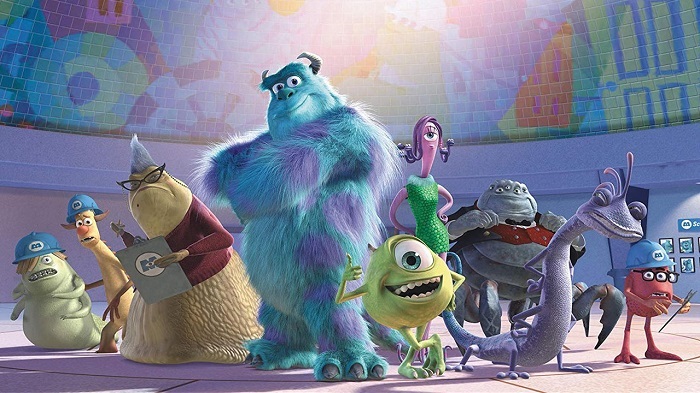 Disney’s new streaming service will be bringing animated series inspired by Pixar’s Monsters, Inc. for the fans. Titled Monsters At Work, the series is set to premiere on Disney+ in 2020. John Ratzenberger, Jennifer Tilly, Bob Peterson, Ben Feldman, Kelly Marie Tran, Henry Winkler, Lucas Neff, Alanna Ubach, Stephen Stanton and Aisha Tyler round-up the star-studded voice cast. Produced by Disney Television Animation, the series was developed and is executive produced by Disney animation veteran Bobs Gannaway (Mickey Mouse Clubhouse, Planes: Fire & Rescue) with Ferrell Barron (Planes: Fire & Rescue) serving as producer. Kat Good (Penn Zero: Part-Time Hero) and Rob Gibbs (Monsters, Inc.) will be sitting in the directors’ chairs. Monsters At Work picks up six months after the original movie’s story, with the Monsters, Inc. power plant now harvesting the laughter of children to fuel the city of Monstropolis, thanks to Mike and Sulley’s discovery that laughter generates ten times more energy than screams. Disney+ will offer ad-free programming with a variety of original feature-length films, documentaries, live action and animated series and short-form content, alongwith access to Disney’s library of film and television entertainment. The service will also be exclusively streaming films released by The Walt Disney Studios in 2019 and beyond, including Captain Marvel, Avengers: Endgame, Toy Story 4, The Lion King, Aladdin, and Star Wars Episode IX.